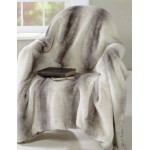 Exceptional Silver Grey shimmer effect Faux Fur with Silver Suede backing. 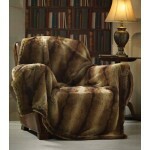 75% Acrylic ..
Coffee and Stone stripe Alaska Rabbt Faux Fur with Cream Suede backing. 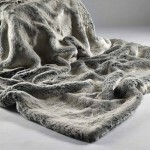 75% Acrylic 25%..
Tactile long pile faux fur with soft flannel reverse Material: Front: 100% Polyester, Reverse..
Super soft silky handle with subtle grey stripes across the width of the throw, ideal for s..
Creamy White Tip with Champagne Base with Cream Suedebeige backing. 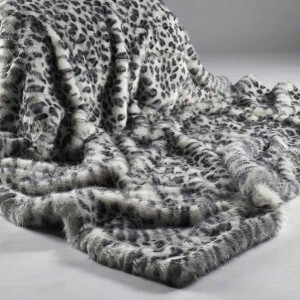 75% Acry..
Super soft silky handle in a striking all over leopard print design throw, ideal for sofa, ..
Longhaired Blue Grey, with a subtle down, pewter suede reverse backing. 75% Acrylic 25%..
Multi-tone Brown Chevron with Grey Suede on Reverse. 75% Acrylic 25% Modacrylic Bac.. 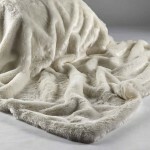 Cream Plush with a Dark Brown Tip, cream Suede reverse backing. 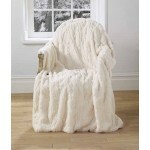 75% Acrylic 25% Modacry..
Soft Plush Cream with Cream Faux suede backing. 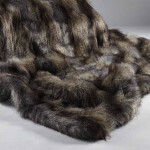 75% Acrylic 25% Modacrylic Backing:..
Soft faux fur in cream with attractive all over cut pelt design and smooth flannel reverse Ma.. 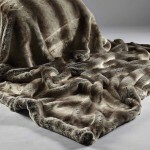 Luxury Soft Dark Brown and Taupe Stripe with Stone Suede backing. 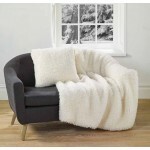 75% Acrylic 25% Modac..
Material: Front: 100% Acrylic, Reverse: 100% Polyester Dry clean 130cmx 170cm .. 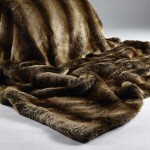 Luxury Soft Gold and Dark Brown Stripe with camel suede backing. 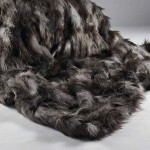 75% Acrylic 25% Modacr..
Multi-tone Grey and Black Chevron with Charcoal suede 75% Acrylic 25% Modacrylic Backing:.. 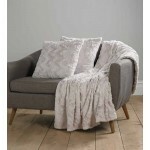 Various shades of Grey Patchwork Effect with Silver Grey Suede reverse backing. 75% Acr..
White Background with Grey Animal Print and Silver Grey Suede backing. 75% Acrylic 25% .. Dark Brown with a hint of Black medium pile - Fabulous Brown Bear like! 75% Acrylic 25% Modac..
Charcoal Grey with New Grey Suede backing. 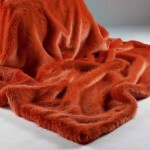 75% Acrylic 25% Modacrylic Backing: 100%..
Fabulous Flame Orange with Silver Grey Suede backing. 75% Acrylic 25% Modacrylic Ba.. 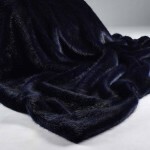 Deep Navy with Navy Suede backing 75% Acrylic 25% Modacrylic Backing: 100% Polyester faux.. 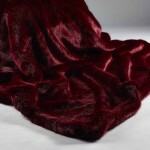 Deep Red medium pile with red suede backing. 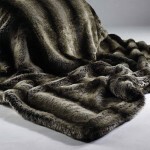 75% Acrylic 25% Modacrylic Backing: 10.. 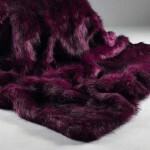 Vivid Pink with Black Strands and Silver Grey Suede reverse backing. 75% Acrylic 25% Mo.. 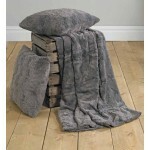 This beautifully soft faux fur bed throw in dove grey has a crushed texture on the front with a s.. 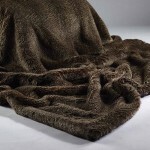 This beautifully soft faux fur bed throw in mink has a crushed texture on the front with a soft v.. 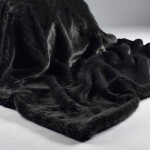 Size: 130 x 220cm Material: 100% Polyester Gentle wash at 40 degrees Dry flat .. 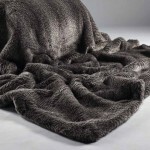 This beautifully soft faux fur throw in dove grey has a crushed texture on the front with a soft .. 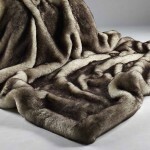 This beautifully soft faux fur throw in mink has a crushed texture on the front with a soft velou.. 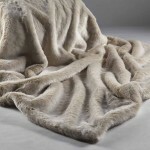 This beautifully soft faux fur throw in oyster has a crushed texture on the front with a soft vel.. 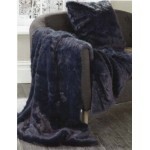 Heaviest faux fur in the season's must have midnight shade with co-ordinated smooth micro mink re..